Scottsdale is a Shopper's Paradise. Not only is Scottsdale home to numerous upscale stores, outlet malls, and boutiques galore, but "Old Town" Scottsdale, located in the historic center of the city, is abound with Native American specialty and gift shops. 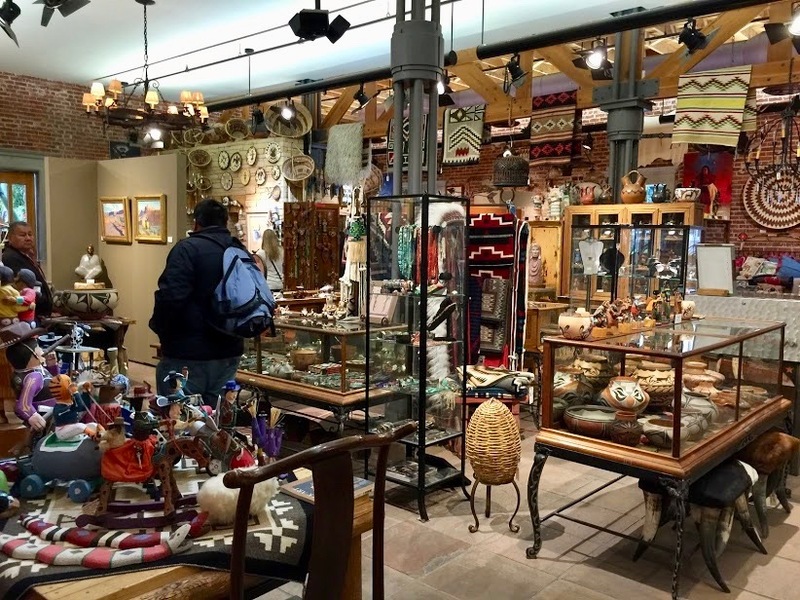 Here, you can find ethnic Native American jewelry, art, pottery, handmade crafts, clothing and even medicinal ointments in this shopping mecca. When purchasing souvenirs, invariably, I try to find something unique; an object I will enjoy that represents the culture of the place I am visiting. Besides two inexpensive turquoise and coral jewelry sets, I ended up acquiring a "Native American fetish," an item I knew nothing about prior to my Scottsdale trip. Many cultures around the world have fetishes. Common ones include amulets, talismans, charms or good luck pieces. Throughout my worldly travels, I have repeatedly collected "good luck" objects and when I learned from the various shop owners the significance of the Native American fetish, I knew this was the souvenir I wanted to take home with me. The broad definition of a fetish is it is an animal symbol carved in stone, bone, shell, wood or antlers representing an animal's spirit or some force of nature. These carvings are believed to have the power to aid their owner's in overcoming personal problems, offering protection, curing illness, fostering well-being or facilitating good fortune. From their beginnings, Native Americans have used fetishes to help control the negative forces of nature and man that affected their lives. The earliest fetishes were called Ahlashiwe, naturally formed stones that looked like animals or people who were believed to have been turned to stone. 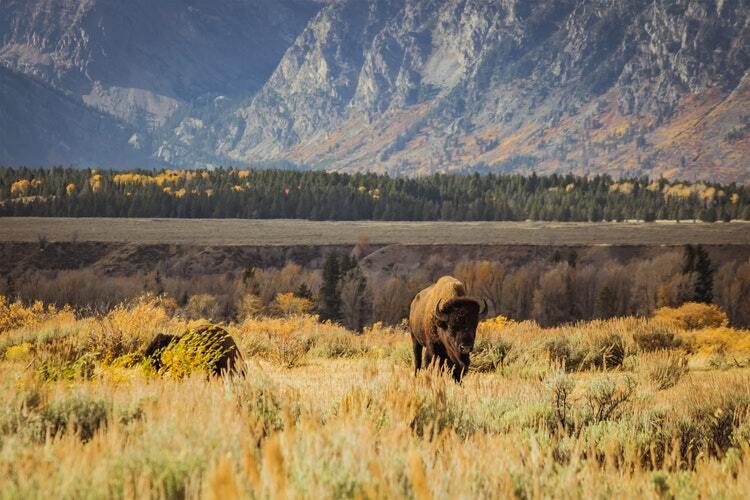 Another belief is that animals possess a "spiritual" force that can either help or hurt humans. Native Americans think fetishes should be chosen for their usefulness. Frogs foster fertility, bears give strength, buffalos help with endurance, as well as, turtles promote long life are some examples of the animal symbols and their spiritual significance. When selecting a fetish, one should choose a fetish that appeals to them aesthetically and correspondingly, one that has a special purpose or symbolic meaning. Not knowing the mystical qualities of each animal, I asked the shop owners numerous questions trying to zero in on the fetish I should purchase. Accordingly, I was overwhelmed with the variety and choices that where available. Thus, I decided to look for a fetish that appealed, first, to me visually and second, I hoped this selection would have some spiritual significance for my inner life. Frustrated, I searched the entire afternoon but found nothing I wanted to buy. Bears, buffalos, frogs, snakes; nothing really "hit me in the heart." As always, when something is meant to be, it appears! At the end of the day, fifteen minutes before closing time, I found my fetish. What struck my fancy was a small, sweet depiction of an Native American woman on the back of an eagle carved on a piece of abalone shell. I liked this piece immediately. I probed the shop owner about its meaning, especially because it depicted two figures, a human and an animal which was unusual. He explained this fetish was "special" because of the corn maiden symbol. The corn maiden is called the "Grandmother of the Sun" or the Grandmother of the Light." In the Pueblo indian culture, she is the benefactress of life. They believe she brings life by offering them a seed of corn to be nourished with love and care that in turn produces an abundant corn corp which gives sustenance to their entire tribe. Native American civilization depended on the success of their corn crops to succor them. Accordingly, the corn maiden was believed to bring this bounty to them. Simplistically, she represents strength, prosperity, creation and wisdom. Likewise, I learned the eagle strengthens one's power of intuition, promotes healing, fosters man's inner vision and higher truths. The owner explained, further, the eagle helps one's spirit transcend personal problems and symbolizes becoming one with the "Great Spirit." I was elated and fascinated with my selection. The combination of the eagle and the corn maiden was exactly what I desired in a fetish: a giver of life and prosperity possessing a strong, wise and creative spirit that seeks to be pleasing and one with God. That's a heavy order but that suited me just fine. Shopping for the "perfect souvenir" can be challenging. You don't want to waste money on something you will never use or enjoy once you return home. I believe a souvenir should have significance to you or possess a "special meaning" that will foster fond memories of your time spent somewhere else. I absolutely love my fetish: it now stays in my purse among the other "good luck" objects I have collected and is with me where ever I go or travel. The featured video by Black Arrow Jewelry and Art gives you more information about the wonderful world of Native American fetishes. Enjoy! If you loved this post, let us know in the comments below and share with someone who you think might enjoy it as well. Follow us on social media for more affordable luxury solo travel tips, tricks, stories and advice. Click on the links below! Scottsdale has many interesting things to do for the solo traveler. One of Scottsdale’s unique treasures is Frank Lloyd Wright’s Taliesin West, a 19th century architectural anomaly. Frank Lloyd Wright is America’s greatest architect. Shopping for the perfect souvenir can be challenging. But when you find one that is both meaningful and a powerful reminder of your trip, it makes it all worth it. Read on to find how I discovered my own Native American fetish in Scottsdale, Arizona. A food tour is a great way to explore a new place, meet new people, and dive into the culture. While in Old Town Scottsdale, I tried out "A Taste of Old Town Scottsdale" offered by Arizona Food Tours which proved to be one of the highlights of my trip.